If you are just waking up after having watched Rafael Nadal and Dominic Thiem battle until 2:03 a.m. EST, make sure to get yourself ready for another exciting day of tennis at the 2018 U.S. Open, with semifinal spots up for grabs in both singles and doubles, including a rematch of a previous U.S. Open final. The 2014 final pitted Marin Cilic and Kei Nishikori against one another as both were playing in their maiden major final. That was a straight-sets Cilic victory, and now the two will play inside Arthur Ashe Stadium once again, this time for a spot in the semifinals. 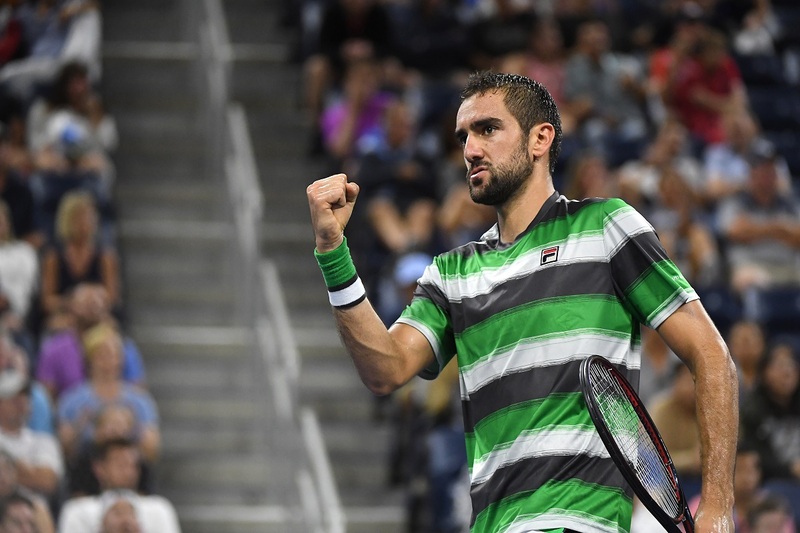 Cilic is coming off of a thrilling five-set comeback against young Australian Alex de Minaur, in which he rallied to win the final three sets. While Nishikori has won seven of his last eight sets, including a straight-sets win over Philipp Kohlschreiber in the previous round. Nishikori is 8-6 all-time versus Cilic. That match will follow Nishikori’s compatriot, Naomi Osaka, the 20th seed who was actually born in New York City, will make her Grand Slam quarterfinal debut against another debutant, Lesia Tsurenko of Ukraine, to open up play inside Ashe. No Japanese woman has reached the semifinals of a Grand Slam since Kimiko Date did so at the 1996 Wimbledon Championships, something Osaka is attempting to do. She is 1-0 all-time against Tsurenko. Last year’s runner-up Madison Keys will attempt to move one step closer to returning to the finals when she opens up the Night Session this evening. The big-hitting, 14th seeded American has looked phenomenal thus far this fortnight, using her monster forehand to dominate the last four sets she has played, dropping just seven games in those sets. She takes on a crafty opponent in 30th seeded Spaniard Carla Suarez-Navarro, a veteran who took out Maria Sharapova in the fourth-round. The matchup will be one of contrasting styles, and Keys will look to improve on her 3-0 head-to-head record. Australia’s John Millman shocked the world when he upset second-seed Roger Federer to claim his spot in the quarterfinals, and will try to follow up his feat by taking out sixth-seed Novak Djokovic on Wednesday night. It is Djokovic’s 42nd Grand Slam quarterfinal of his career, and the Wimbledon champion has won the only previous matchup between he and Millman. New Jersey native and former USTA Eastern Section player Christina McHale is one win away from the semifinals of Mixed Doubles along with partner Christian Harrison. The pair will be the third match onto Grandstand, and will take on the duo of Jamie Murray and Bethanie Mattek-Sands. Long Island natives Lea Ma and Cannon Kingsley will be in action again on Wednesday competing in the doubles draws of the U.S. Open junior tournament. Ma is paired up with Hurricane Tyra Black, and the duo, seeded eighth, will play Qinwen Zheng and Himari Sato. Kingsley will play alongside Andrew Fenty, and the pair who play Juan Manuel Cerundolo and Alejo Lorenzo Lingua Lavallen. Alexa Noel, a New Jersey native, is the second-seed in the Girls’ Draw, and seeks a spot in the Round of 16 when she meets Emma Raducanu of Great Britain on Court 11. Click Here to see the full schedule for Day 10 at the 2018 U.S. Open.